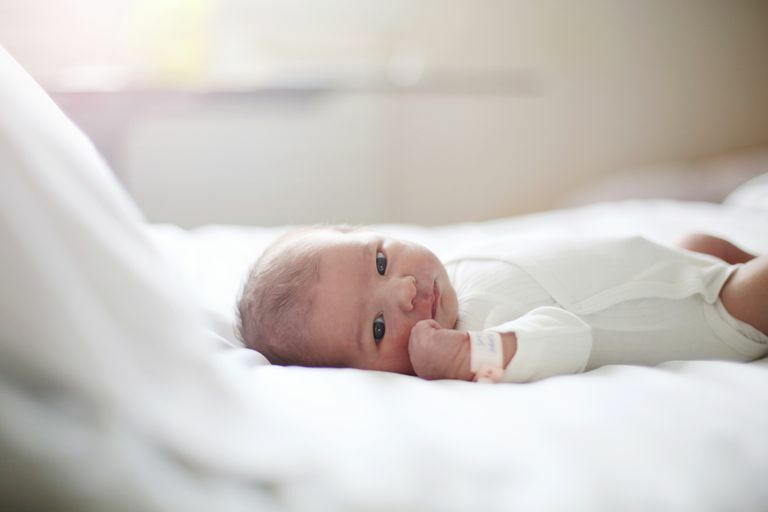 Newborn babies are examined to ensure there are no conditions that require treatment at a young age. There are a number of conditions found in newborns that can indicate problems with the musculoskeletal system. If these problems are diagnosed early and treated promptly, often long-term issues can be avoided. Hip conditions are one area of particular concern. Hip joint development is not complete at the time of childbirth, yet if the joint is not properly aligned, there is a high likelihood of the joint not developing properly. When the joint doesn't properly develop, the ball-and-socket of the hip is not shaped normally. A 'hip click' is a finding on examination of a newborn baby. When babies are born, they are examined to determine if their hips have formed normally. A hip click is felt by the examiner when the hip joints may not have formed normally. Two tests are performed, called the Barlow and Ortolani tests, to determine the function of the hip joints. In babies with hip dysplasia, the joint has not formed normally, and the hips are prone to moving in and out of joint. As the hips are moved in these tests, a hip click is felt by the examiner. A hip click on examination does not mean the baby has hip dysplasia, but it is a cause for concern. When there is a concern for hip dysplasia, you will likely be referred to a pediatric orthopedist for evaluation. Special tests, usually an ultrasound, can help determine if there is a need for any further evaluation or treatment. Hip dysplasia is a concern because a newborn's hips are not fully formed. In order to develop properly, the ball must rest securely inside the hip socket. If the hip ball is not firmly seated in the socket, the joint will develop abnormally. Depending on the degree of dysplasia, this may result in an abnormally shallow socket or possible no socket at all. When the hip joint forms abnormally, the result can be the development of early arthritis. Again, depending on the severity of the problem, this may mean problems in late childhood or it may mean developing problems as a young or middle-aged adult. When hip dysplasia occurs, the hip joints tend to wear out more quickly causing early onset of hip arthritis, often requiring hip replacement surgery. Performing a hip replacement surgery in a younger individual can cause significant concern as these implants are not designed to last a lifetime. Treatment of hip dysplasia is best accomplished by recognizing the condition as early as possible so that treatment can be initiated. The early the condition is identified, the less development of the hip that has taken place, and therefore the best possible chance to restore normal hip development. When identified in the first few months of life, often a simple harness can hold the baby's legs in the proper position and restore normal hip development. Guille JT, Pizzutillo PD, MacEwen GD "Developmental Dysplasia of the Hip From Birth to Six Months" J. Am. Acad. Ortho. Surg., July/August 2000; 8: 232 - 242. Vitale MG and Skaggs DL "Developmental Dysplasia of the Hip From Six Months to Four Years of Age" J. Am. Acad. Ortho. Surg., November/December 2001; 9: 401 - 411.